The Klean Pop Shower is a revolution in pop-up shower design. 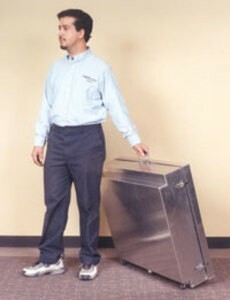 When disassembled, Klean Pop offers the easy mobility and compact appearance of a suitcase on wheels. One person can move Klean Pop wherever it needs to be and can be set up in as little as 2 minutes. 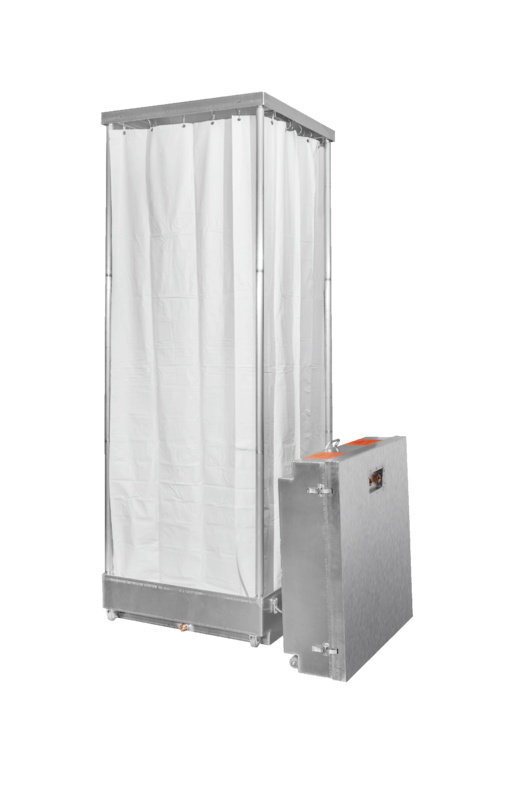 Priced competitively with telescoping designs, and more durable than plastic options, Klean Pop answers the growing need for a quality decontamination shower that is inexpensive, durable and easy-to-use.